Ekaterina Lohwasser is a partner at Accuracy. With over 15 years of experience in corporate finance, she is responsible for the German valuation team. 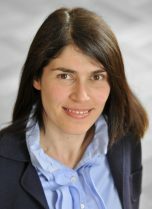 Ekaterina joined Accuracy in 2009, opening the first German office in Frankfurt and has managed the Munich office since 2011. Prior to joining Accuracy, she worked in advisory and M&A services, mainly with PwC. While at Accuracy, Ekaterina has been appointed as an expert on contentious matters to assess damages and complex valuation issues, managing valuations, drafting numerous valuation reports and joint statements of experts, and taking part in national and international meetings of experts. She has also testified as an independent valuation expert in German court proceedings and international arbitration hearings. Ekaterina speaks Russian, German, and English. Ekaterina specialises in fairness opinions, valuation in connection with transactions (PPA, contribution-in-kind), fiscal or legal reorganisations, and valuations of complex assets (brands, IP, software, joint-ventures, etc.). She also specialises in valuations used for contentious matters, including for litigation and arbitration proceedings. Ekaterina has been appointed as an expert on numerous occasions and has testified on matters before the German Court, as well as in arbitration proceedings (including DIS, ICC, LCIA and under UNCITRAL rules). Ekaterina is recognised by Who’s Who Legal as one of the top expert witness in arbitration and for the quantum of damages. Valuation of a European sports brand for accounting purposes. Appointed by the German court as an independent auditor in the context of a squeeze-out in order to verify the adequacy of the compensation to minority shareholders. This engagement included review of the valuations of several Eastern European mining companies and an expert witness testimony in court. Issued expert reports in a DIS post-acquisition dispute over financial statements and warranties for a company active in the utilities industry. This engagement included i.a. comprehensive reviews of IAS 11 revenue recognition and forensic analysis of audited financial statements subject to SPA warranty.